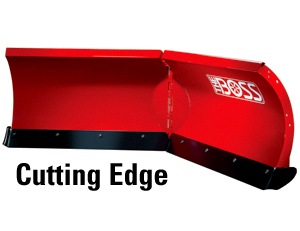 All BOSS V-Plows offer a patented high performance cutting edge that features high-performance steel, curb guards and a snow catcher. The cutting edge design delivers extended wear resistance compared to conventional cutting edges. However, when a cutting edge needs to be replaced, following the few simple steps outlined in the video below will help you get the job done faster and back to plowing.